Do you need a basket ball for your rental? Many units have a basketball hoop inside or out, so you need to provide your own ball or buy one from us. 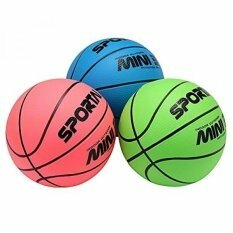 These balls are colorful, soft balls that will not injure the children when thrown like a traditional basketball. Plus the best part, ITS YOURS TO KEEP!! !